Want to get started using your Payoneer Prepaid Mastercard? Read on for a step-by-step card activation guide. Select Settings > Card Management, locate the card you would like to activate and click ACTIVATE. Enter your 16-digit card number as it appears on the card (no hyphens). 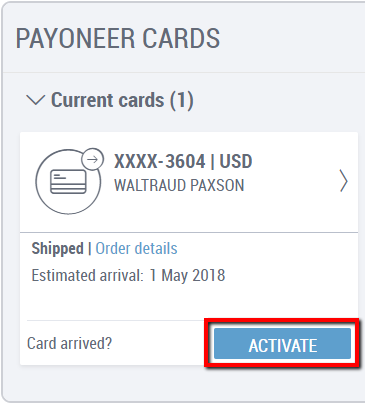 You will see an online confirmation that your card has been successfully activated. That’s it! You are all set to use your Payoneer Prepaid Mastercard®! You can access your funds from anywhere and at any time. Don’t forget that your Payoneer card is prepaid and needs to be loaded with funds before it can be used! For more information, check out our support center.